In the Fall of 2001, Toni Brouhard and her husband, Michael were traveling to Kansas State University in Manhattan, Kansas for parents’ weekend. Their son was then an engineering student at Kansas State University. They were westbound on Interstate 70 in Wabaunsee County, Kansas, not far from their destination. Traffic from eastbound Interstate 70 had been diverted to the westbound lanes of the interstate due to ongoing highway construction in the eastbound lanes of the interstate. Michael was driving the family Honda Accord and Toni was in the passenger seat next to him when an eastbound tractor trailer rig slammed on his air brakes to avoid rear-ending a car in front of him, crossed the centerline into the oncoming traffic in the westbound lane and crashed head-on into the Brouhard’s Honda Accord. The tractor trailer rig caught fire immediately. Michael Brouhard was killed instantly in the crash and Toni suffered non-life threatening injuries. Paul E. Carroll, the driver of the United Van Lines semi, later tested positive for cannabinoids and was criminally charged. Toni Brouhard’s sister, who lived in California, hired attorney John Petrini in Bakersfield, California. 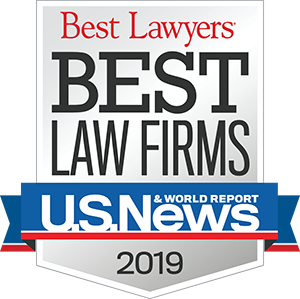 Mr. Petrini was tasked with the job of identifying top tier law firms in and around the Kansas City metropolitan area, known for their expertise in commercial truck crash cases, from whom Toni Brouhard could choose her family’s lawyer. Brian McCallister was identified among those top law firms and after meeting Toni in her home in Topeka, Kansas, Toni Brouhard hired Brian McCallister and The McCallister Law Firm to represent her and her 3 children in the wrongful death lawsuit against Paul E. Carroll and United Van Lines, LLC. Because of a particular law that existed at the time the lawsuit was filed in 2001, the Brouhard family’s lawsuit was filed in Jackson County, Kansas City, Missouri, even though the crash occurred in Kansas. United Van Lines, LLC’s company headquarters is located in Fenton, Missouri near St. Louis, providing jurisdiction of the Missouri courts over the Brouhard’s lawsuit. Within a month of filing the lawsuit, mediation of the case was scheduled due to the clear liability of the United Van Lines truck driver, who had been smoking marijuana at or before the horrific crash. Because of the high-profile nature of the crash and the immense loss Michael’s family suffered, the case was quickly moved to mediation by the defense lawyers hired by United Van Lines’ insurance companies, Horn, Aylward and Bandy in Kansas City, Missouri. Multiple layers of insurance covered United Van Lines, including Transguard Insurance Company of America, North American Specialty Insurance Company and Zurich/American Guarantee & Liability Insurance Company. Micheal was an accomplished and talented engineer, having worked many years for Westar and its predecessors. During mediation, Mr. McCallister painstakingly showed videotaped statements he took of Michael Brouhard’s employers, who had high praises for Michael’s work and influence in their lives, both professionally and personally. Mr. McCallister also demonstrated the liability of the driver, Paul Carroll by showing animations of the crash to opposing counsel and the insurance adjusters, as well as the opinions of an economist and accident reconstructionist Mr. McCallister retained to render opinions about damages and liability. The “mock trial”-style mediation is one of Mr. McCallister’s trademarks. The insurance company’s adjuster at the mediation was moved to tears. United Van Lines’ insurance companies paid the Brouhard family $4.5 million to settle their lawsuit against them. In Missouri that year, this case was the 5th largest settlement reported by Missouri Lawyer’s Weekly®.